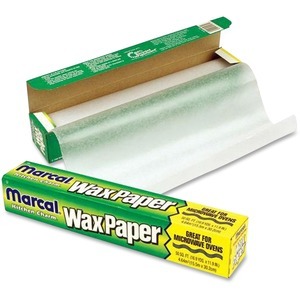 Wax paper features a versatile design that can be used for a variety of purposes throughout the kitchen. High-performance wax coating is perfect for interleaving, wrapping, food release and freezer storage applications. Microwave-safe material can be safely used as a food cover to prevent splatters in the microwave. Dispenser carton features an easy-tear cutter bar for quick, simple removal.